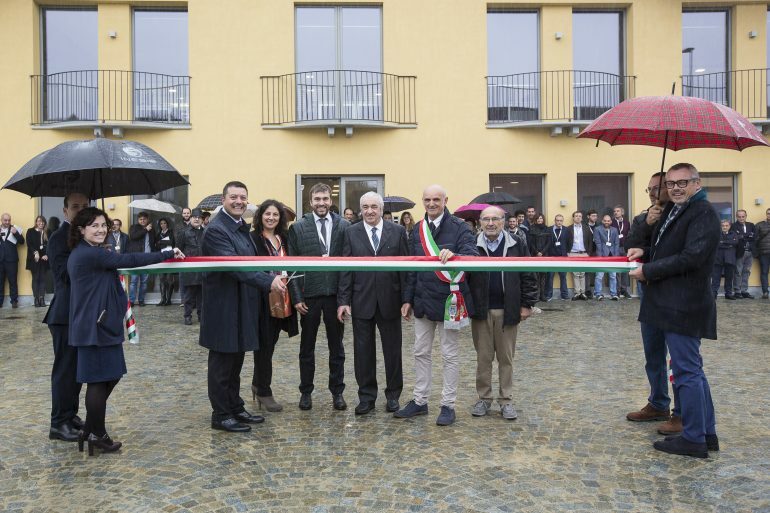 SAGEA on 9th November has inaugurated the new headquarters that include laboratories, offices, warehouses and greenhouses. Thanks to these new premises, SAGEA will significantly strengthen its operational capacity and expand the range of services offered. SAGEA staff from Italy, Serbia, Bulgaria, Spain and Portugal participated to the event, as well as several representatives from official authorities and both Italian and foreign companies in the sector and scientific community. Participants had the opportunity to visit the new laboratories and facilities of SAGEA with the guidance of the specific activities coordinators who explained in detail the services that SAGEA is able to offer focusing on the most innovative ones. Special focus was dedicated to the equipment for seed trials (precision seed drills, plot combine harvesters, etc. ), the laboratory for chemical analysis and the laboratory for eco-toxicological studies, the premises dedicated to processing studies and sensory analyses, the glasshouses for the conduction of semi-field trials and screening tests.